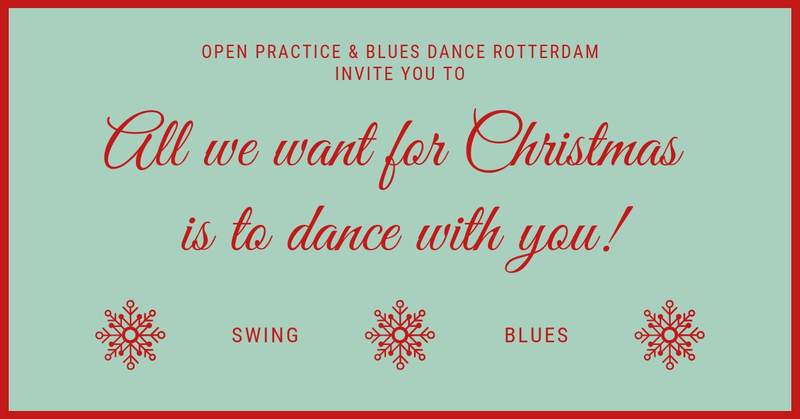 This year Open Practice Rotterdam and Blues Dance Rotterdam have partnered up for an exciting double feature with lots of surprises! & surprise DJ’s for a very promising DJ Battle! You can only get your online tickets until the 18:00h of the 20th of December, so if you haven’t, go get them! There will be a very limited amount of tickets available at the door. There are surprises being announced every day now, so keep an eye on this page and join our Facebook Event to stay up to date. We promise, it’s gonna be a blast!